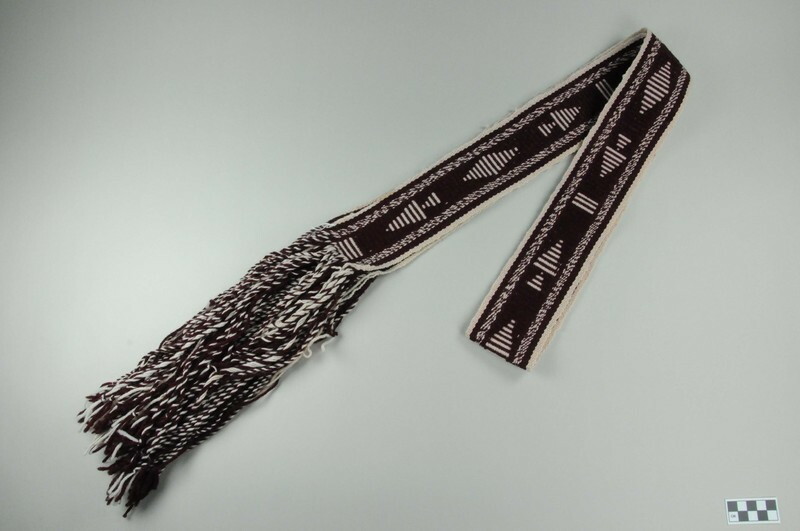 Navajo belt. Weft is off-white wool and warp is a dark burgundy. Design consists of diamond, arrowhead, and rectangle shapes in off-white weft on a burgundy warp background with off-white edges. Dimensions below include the fringe.